Q: What are the biggest threats to biodiversity in Ethiopia? A: In Ethiopia, you can see it in two ways. In the Eastern part of the country, biodiversity loss is mainly due to invasive, introduced plants that are replacing the native plants. These came from Latin America, North and central America, and Australia (Eucalypts) and they were mostly brought in deliberately. Lantana, for example, was introduced to control weeds in cotton producing areas, and is now a weed here and a serious problem. 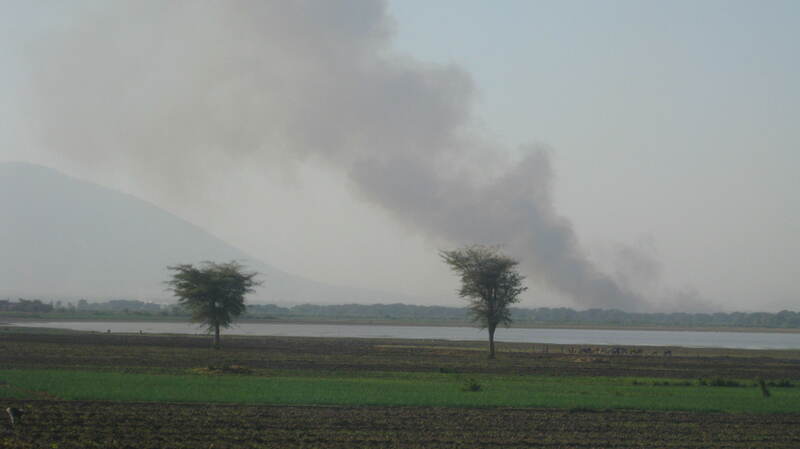 In western Ethiopia the main problem for biodiversity loss is habitat change. Many forested, woodland areas are being converted to farmland or large investments. Some investors are taking care of the natural land, but there are some that are not, and they’re leaving the land barren. They’re supposed to leave at least some areas of land as a park for conservation but no one is concerned with this. They just use the land, they never leave any green area and then they move on. It is good to develop it, but in a sustainable way – if you’ve divested everything, it’ll be worth nothing. 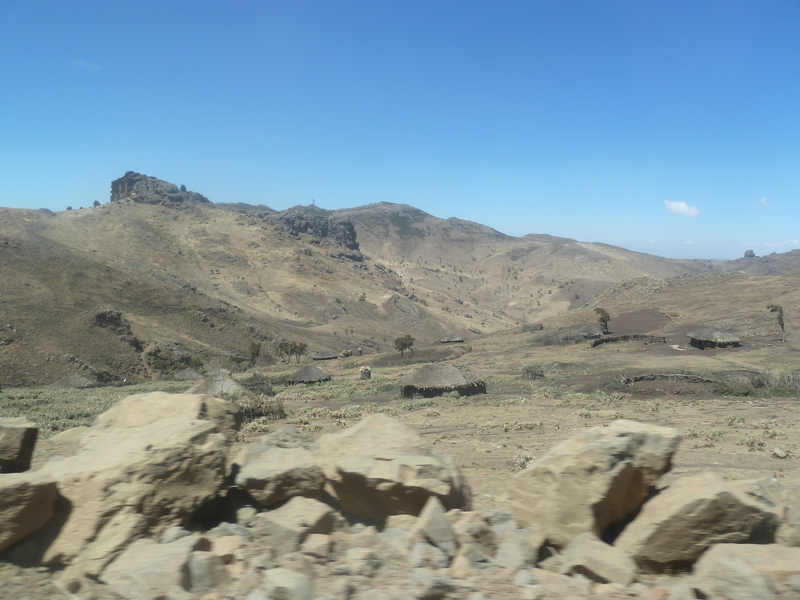 The farmers are now moving towards and into the mountains, which means there’s habitat change happening in even remote places like the Bale mountains, the Simean mountains and national park areas in general – because of farming. 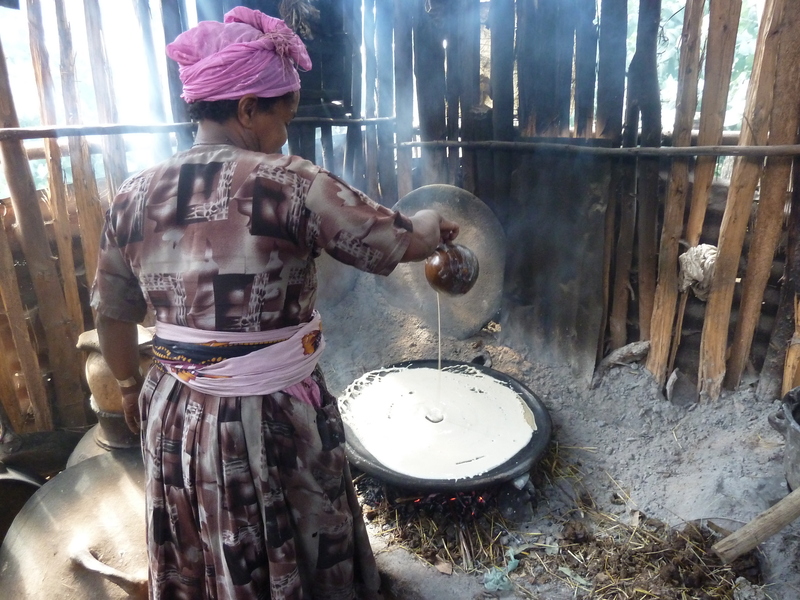 In many highland parts of Ethiopia, and especially in the Western lowlands, conversion of the woodland to fuel and to farmland is common. It is the biggest problem for us. 90% of the people use firewood for energy, for cooking and this leads to deforestation. Timber production is another problem. Some timber is highly collected and the government has declared that it is forbidden to cut down certain trees. Forty years ago, 40% of Ethiopia was covered by high forests but today only 4% is, and many think it is even less than that. Q: What makes Ethiopia unique? A: We have such diverse ecosystems and climates; we have humid forests, wetlands and the Afar desert. We have very high altitude farmland above the clouds and we have salt plains beneath the sea, diverse rainfall patterns and so many diverse ethnic groups -so all this means unique habitats for diverse species and it combines to confine certain species to certain areas. 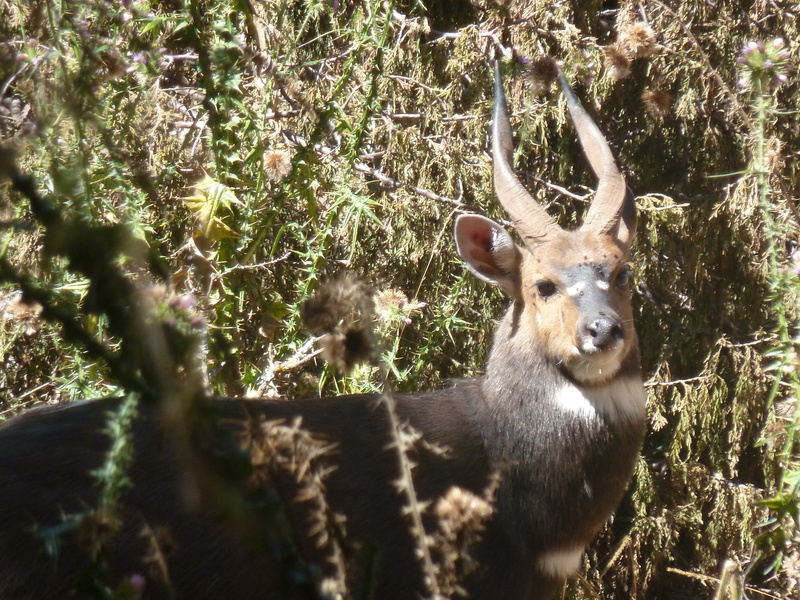 We have many endemic plants and animals like the Gelada Baboon, the Highland Nyala and Simean Fox that can only live here. Ethiopia has about 6500 plants and about 10-15% of these are endemic. Most of them are in the semi-desert areas like Ogaden on the Somali border, and many of them in the highland areas where they are restricted, or locked off, from other parts of Africa because of geography. We have many endemic birds and unique mammals. 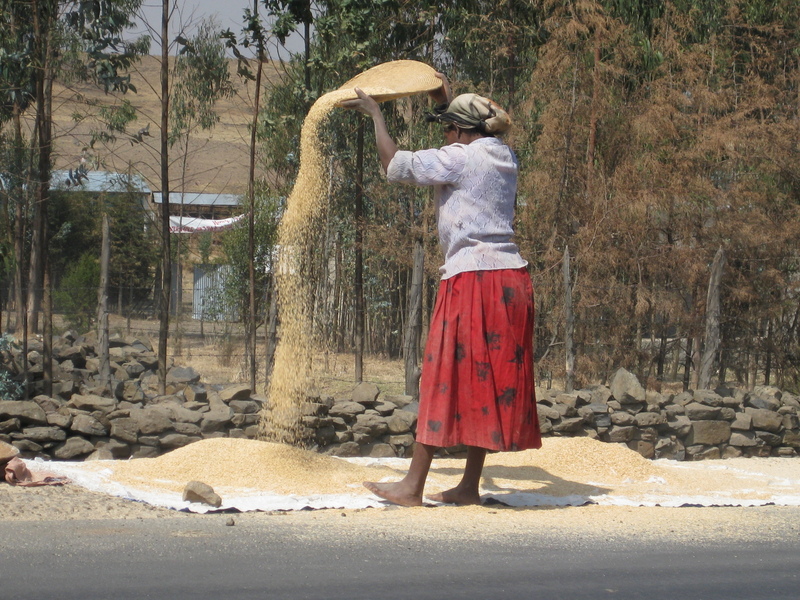 Today, Ethiopia is known to be the centre of origin for many crops such as sorghum and coffee, and the centre of diversity for others such as wheat and barley – it is especially important that we protect these crops, and the farmers that cultivate them – because they’re food. We know many of these crops have evolved especially drought tolerant and pest resistant properties; they grow in places and climates that other varieties won’t. Q: Are many of those species in danger of becoming extinct? A: Yes they’re in danger – particularly the plants because of deforestation and development, and it is a problem that we don’t have specimens of many of our indigenous plants recorded. Most were collected more than sixty years ago by foreigners; the specimens are now found in Kew, in gardens in Florence in Italy and Paris instead of in Ethiopia. Now you might call those collectors scientists, but actually they were travelers, explorers, naturalists in the past roaming from country to country, and sometimes they were military – they’d collect plants and take pressings like we do today, and store the specimens in Europe. But many were lost; there were Ethiopian endemic records in Berlin, for example, and when it was bombed in the second World War they lost the collections. ‘‘We can’t have freedom if we don’t have seed freedom. For me, seed saving became a way of defending freedom in the face of patents and trade rules which to me sounded like a totalitarian regime.” Sydney Peace Prize winner and natural philosopher, Vandana Shiva. Q: Is bio-piracy a problem for Ethiopia today? In many cases, the specimen is not actually found where they say it was, but they have published the paper. For example, we have one paper on the discovery of a new Aloe, which claimed it was collected in Ethiopia. If they found it here, they have to at least deposit it in Ethiopia or another known institution, but this hasn’t happened and instead, many companies are patenting these genes without our knowledge. Another example was an argument going on about Teff research. Teff is one of our staples, and endemic. They wanted to patent it. The governemnt of the Netherlands asked the company what the country of origin was, and they came to Ethiopia. They came for one year, there was a kind of argument, and then they stopped. So yes, it’s going on, but it’s not official and this is a very difficult thing to stop really. Q: What is the role of the Institute of Biodiversity Conservation? A: The Institute works to conserve and promote the sustainable use of Ethiopia’s biological resources – that includes plants, animals and microbial genetic resources. Previously we were working only on crops, but after 1998 we started working on all genetic resources – we work on plant, animal and land biodiversity, we’re involved in eco-system management, research and we also look after any legal issues and international agreements to do with biodiversity. A large part of our work is managing the gene bank. There are only twelve in the world – there’s one in Russia, South and Central America – and ours in Addis Ababa is the only gene bank in Africa. Currently, we hold about 62, 000 accessions of more than 300 plant species which we’ve obtained through collection, repatriation and donations. We’re now in the process of setting up a new seed bank in Fiche. The Ethiopian government is fully committed, but it is a problem for our Institute to secure the land for the new bank- we have been trying to get land for 10 years now. When we have it -we will duplicate what we have in Addis and be able to safeguard everything. This is important because, in a country like Ethiopia, where so many people depend on subsistence farming – seed security is food security. Biodiveristy is life. Drying seeds at the gene bank in Addis Ababa. “The rain doesn’t come on time anymore. After we plant, the rain stops just as our crops start to grow. And it begins to rain after the crops have already been ruined,” Sefya Funge, a farmer in Adamitullu Jiddo Kombolcha district in Ethiopia told Oxfam. Q: Is climate change being felt in Ethiopia? A: Yes, climate change is affecting the rainfall pattern and temperature in Ethiopia, and because so many people rely on the land, people are noticing change very much. Previously, the rainfall pattern was continuous, and reliable but nowadays no; all of a sudden it’ll rain, then it’ll dry again, and sometimes it’s too much and then there’s flooding and the people are not prepared for that. Many areas have been removed of any vegetation, so now when there is rainfall, it’ll be converted into flood. Ethiopia is now most exposed to disaster, to rainfall patterns – the other thing is temperature that is unreliable and affects crops, especially in the lowland areas. Desertification is also a problem and the govt is trying to combat desertification in the Afar, Somali and tigray regions. 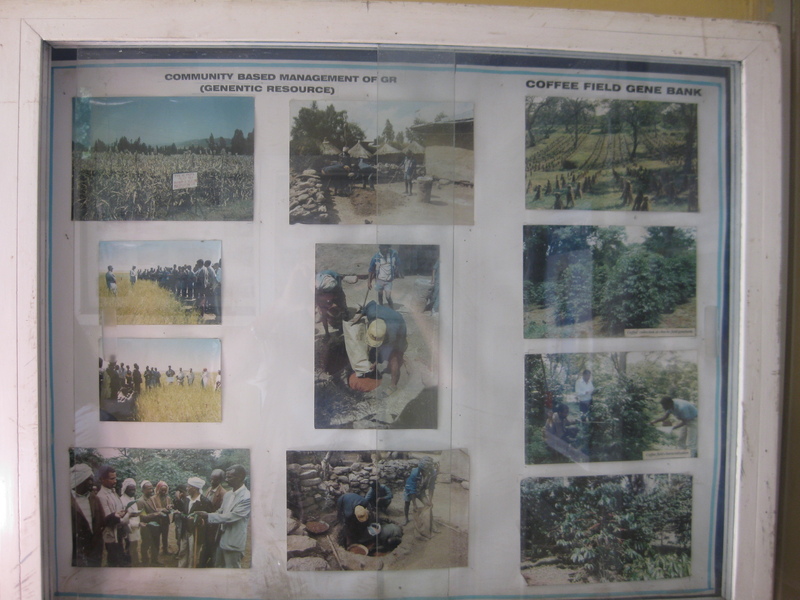 In the last ten years the Ethiopian government has been working with the World Food Program for land rehabilitation. We have to look at many areas and change the livelihood and customs of many people, mostly Tigray, so that we can get springs to come back to life, to get money to collect rain water and use it for growing new vegetables in those regions so people can eat. Q: You were at the UN convention on Climate Change in Cancun last year. Was Cancun a success from Ethiopia’s perspective? 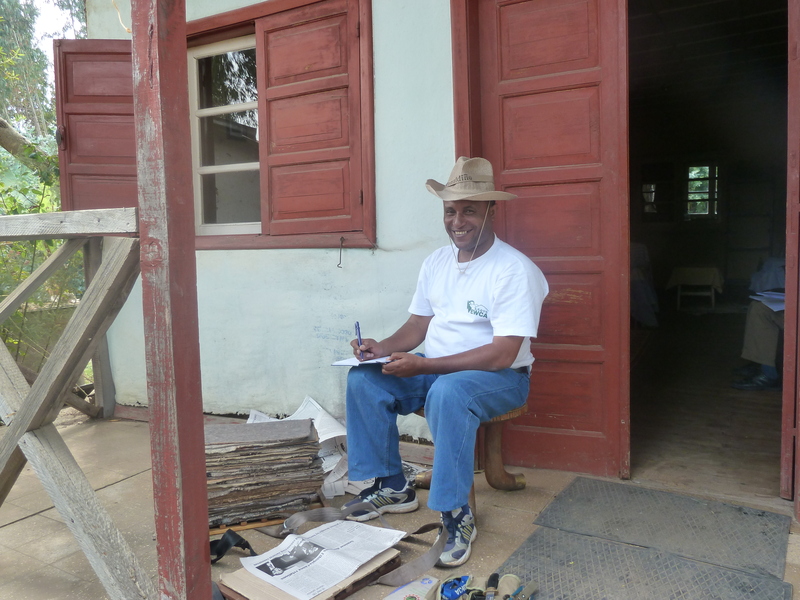 Q: Why do you think a project researching herbal medicine in Ethiopia is important? A: Well there is always development and development is good for the livelihood of a community but in the meantime we are losing some important aspects of what the community lives by. So it’s good to look at what’s there, and in danger of being lost, and to have this on record for the future. Most Ethiopians rely on traditional medicine for their families and their livestock (80%) and this is mostly wild medicinal plants. But medicinal plant diversity is being depleted and indigenous knowledge of the conservation and use of the plants is disappearing. A lot of research has been done on plants from the most remote tribes and corners of Ethiopia, and that is important, but not much has been done in the more populated places, which are actually changing faster. The herbs and the knowledge being recorded here actually have a wider application – they will benefit more people. Dr. Tesfaye pressing herbs in Fiche. 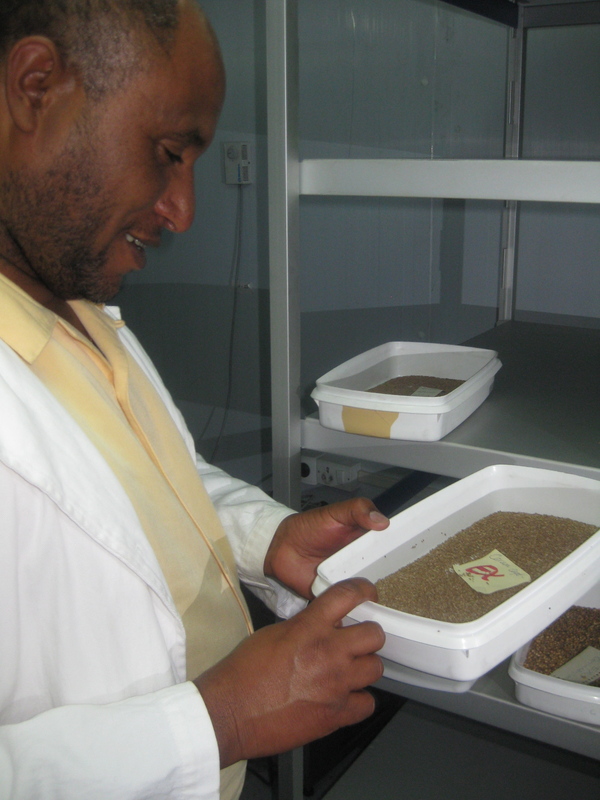 Dr. Tesfaye is head of the Ethiopian Institute of Biodiversity Conservation’s seed bank.